Payment for: $300 Annual NHHA Dues or $305 to include a donation to help defray our processing fees. Thanks! Please enter your contact information and then click Secure PayPal Checkout. If you prefer, you may download the membership application and mail your check. To make updates to your contact information, please fill out a membership form. It’s secure. We use PayPal, a well-respected and well-known payment processor. Your transaction is safer than putting a check in the mail. It’s easy… just a few clicks and you’re done. You’ll receive a confirmation email for your records. You can use any major credit card or your Paypal account. It’s FREE for you! If you want to include a donation to defray a portion of the processing fees, we greatly appreciate that! The convenience encourages members to pay in full, and pay earlier in the year. This helps us budget more efficiently. Online payment reduces the number of checks that must be processed by hand, reducing the possibility of error. Online payments are deposited directly into our bank account, improving cash flow. 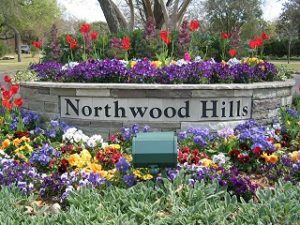 Northwood Hills Homeowners Association, Inc.
We hope you find this web site an interesting, useful and evolving place. If you’d like to see something added, don’t be shy: give us your feedback! General comments? Send us email. | Problem with this website? Contact the webmaster!.